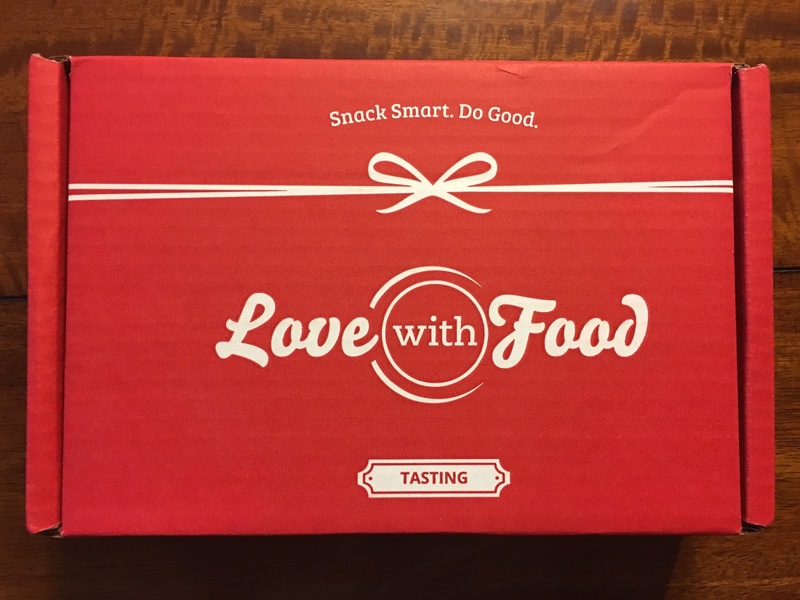 I tried something new this month and subscribed to Love with Food! 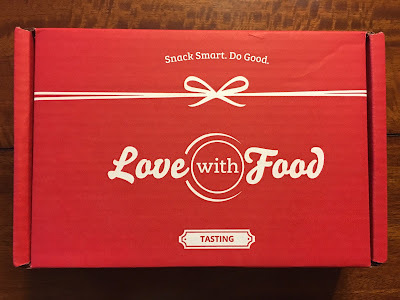 I thought this would be a great gift for the family, so we can snack healthy. I wanted to try some different items that we wouldn't normally try and thought this was a good way to introduce new snacks each month. 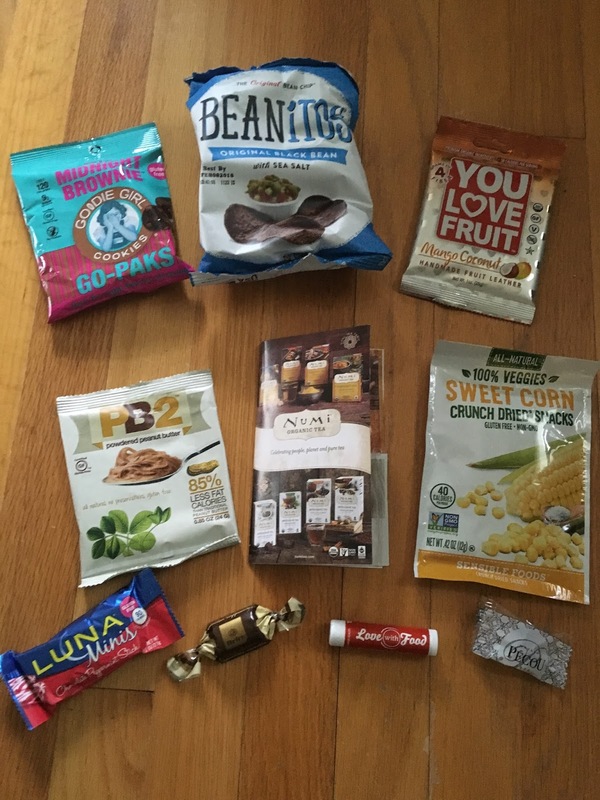 I wasn't sure what to expect, but they fit a lot of stuff in the small box and I was excited to try everything. 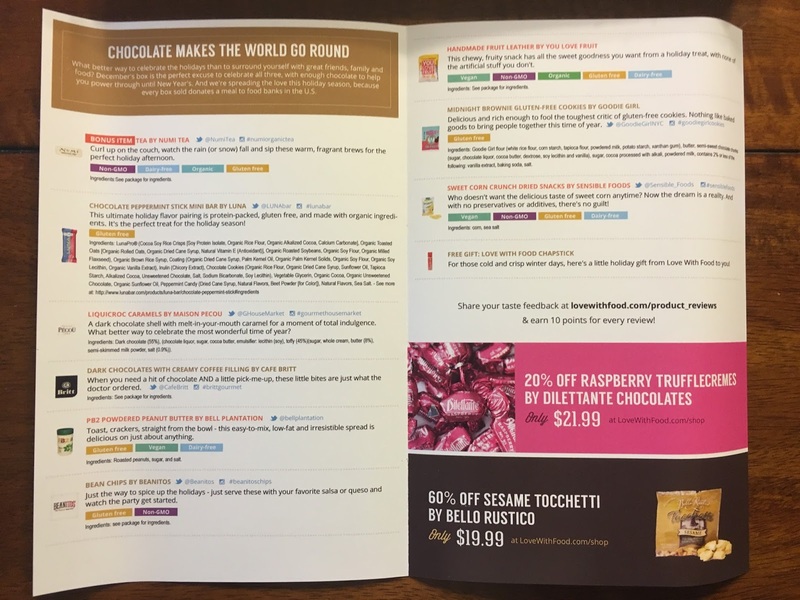 This month's theme was Chocolate Makes the World Go Round! I love chocolate...who doesn't! 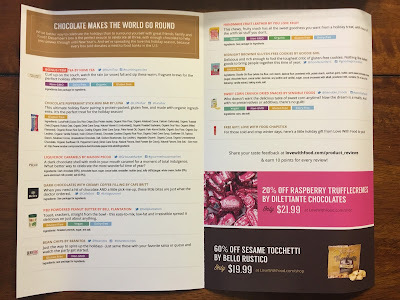 Love with Food includes an information card to explain about everything included. And I'm very happy for that, because there was a lot of new things I hadn't tried before. Here is a peek at everything we received. 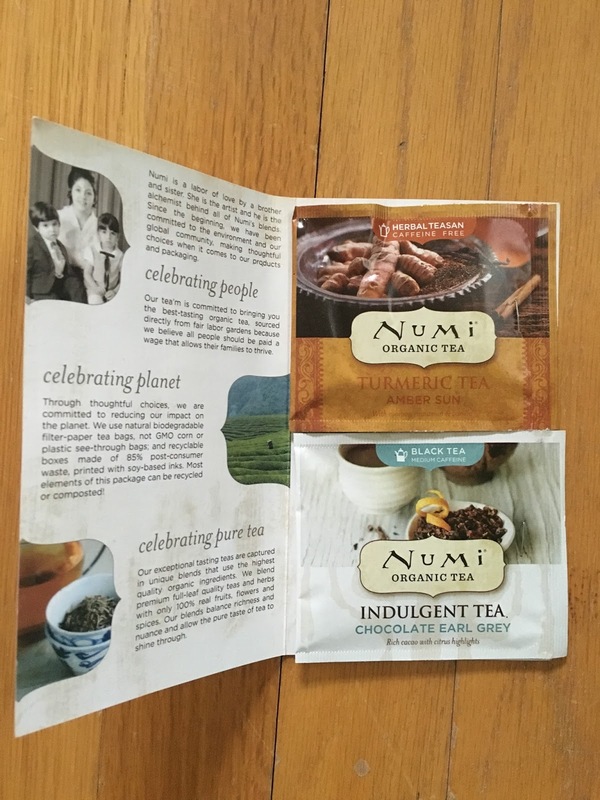 I'll start with the bonus item I received, Tea by Numi Tea. Amber Sun and Chocolate Earl Grey were the favors. I already tried the Chocolate Earl Grey of course, and it was yummy. Not too chocolately, but just enough! 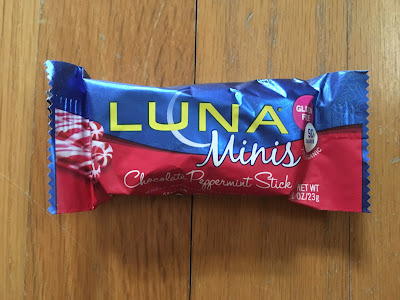 The Chocolate Peppermint Stick Mini Bar by Luna was yummy too. I'm a huge fan of mint and chocolate, so there was no doubt I would like it. My daughter was not a fan of this though, so I ate the whole thing. I should have taken pictures of the actual food. 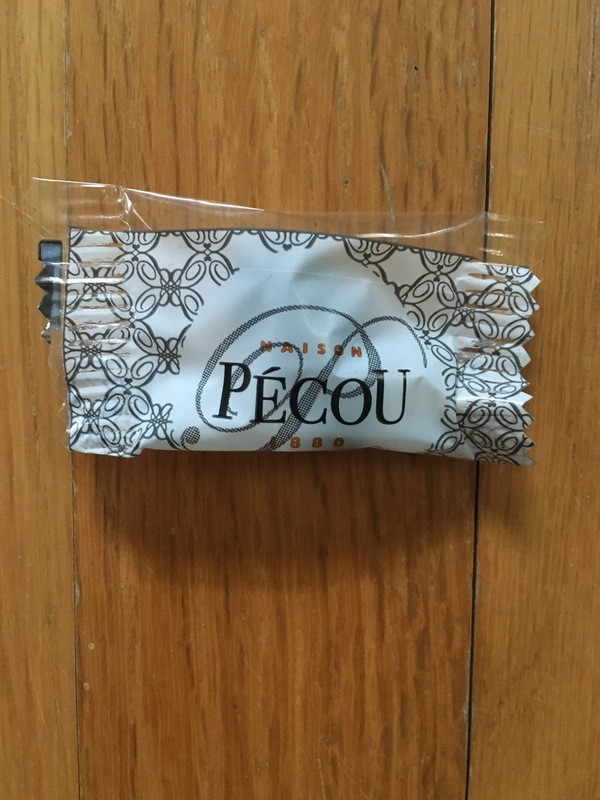 This was a dark chocolate bar with a peppermint coating on the bottom. It looked very festive! 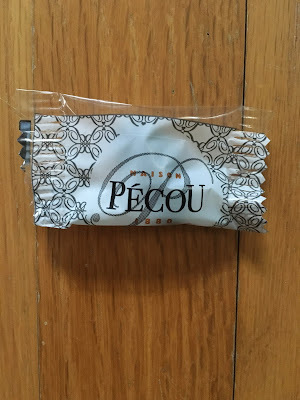 We only received one piece of the Liquicroc Caramels by Maison Pecou, so we couldn't all sample this. I ate it and it was delicious. The inside caramel was very creamy and yummy! I want more of these. I think my whole family would enjoy these!!! We also received Dark Chocolates with Creamy Coffee Filling by Cafe Britt. This tasted just like coffee. 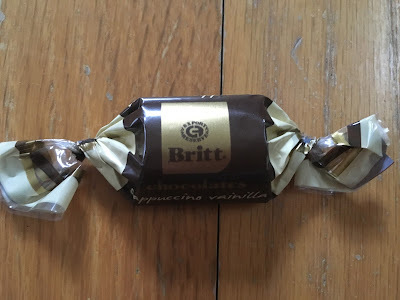 And I enjoy coffee in chocolate form, so I really liked this. 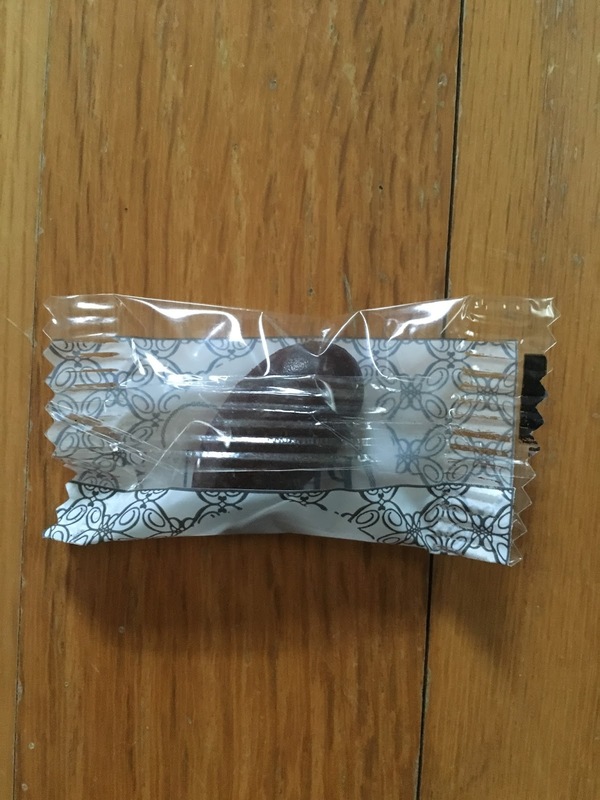 I also gave some to my daughter and she enjoyed it too. Hopefully it doesn't have as much caffeine as coffee! The PB2 Powdered Peanut Butter by Bell Plantation is the only snack we haven't tried yet. This is interesting, because you just add water. 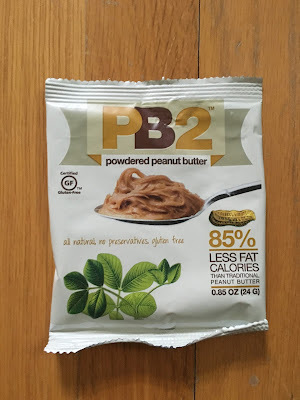 It cuts out a lot of the oils that are in traditional peanut butter, so I'm excited to try this. 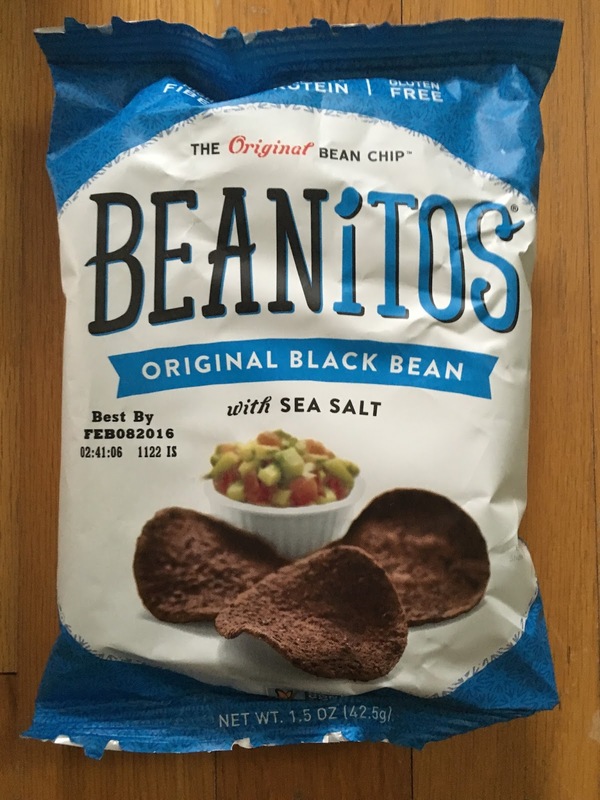 My daughter ate the whole bag of Bean Chips by Beanitos. These are made from black beans and they were good. I'd like them better with salsa or a dip, but my daughter loved them plain and ate them all. 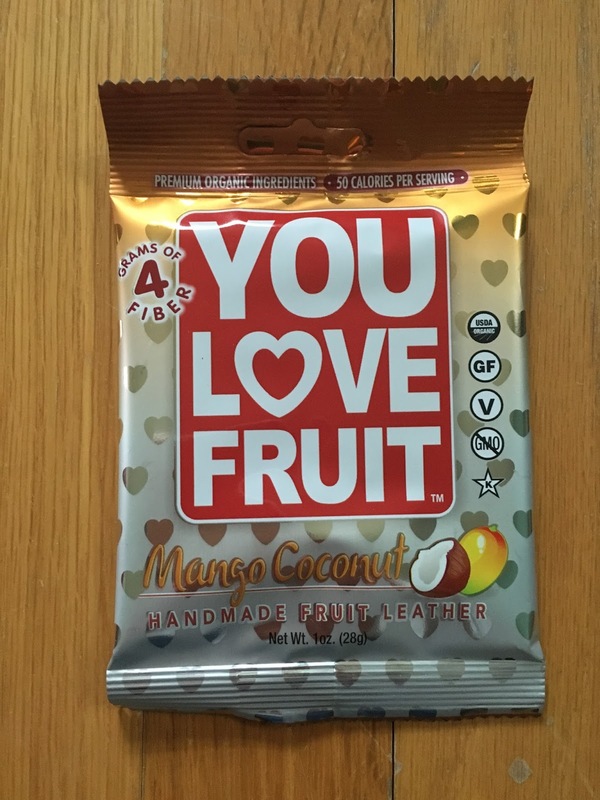 The first sample we tried from the box was Handmade Fruit Leather by You Love Fruit. 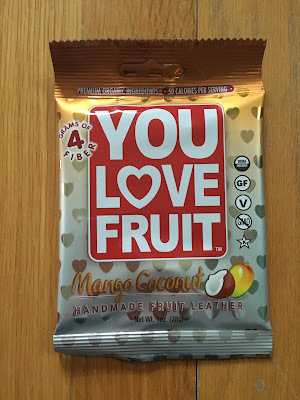 These were mango coconut flavored, which I wasn't sure I'd like. But these were my favorite item in this box! They were so good. My daughter and I ate them all up in no time. And I like the size of these. It was perfect for sharing. And they were shaped like little hearts, which was adorable! I thought my favorite item would be the Midnight Brownie Gluten-free Cookies by Goodie Girl, but these were too dark for me. 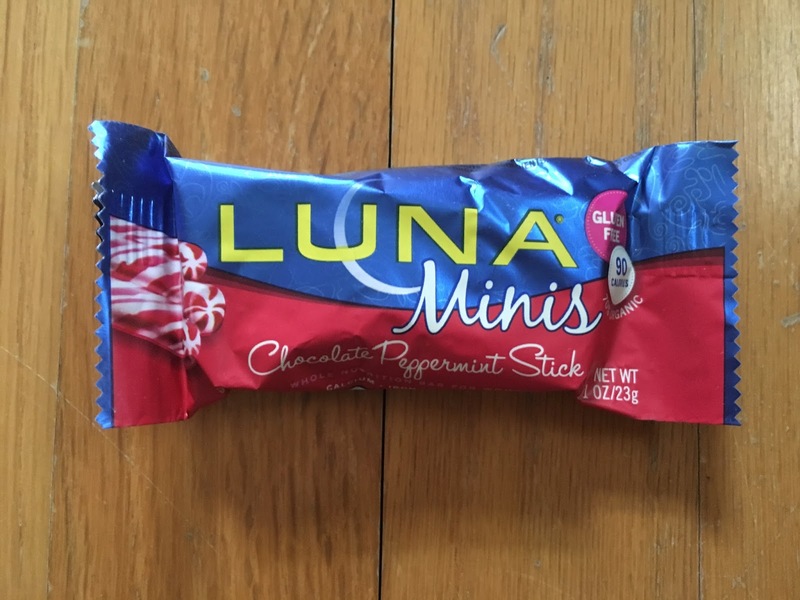 These would be a great snack for long car rides, though. 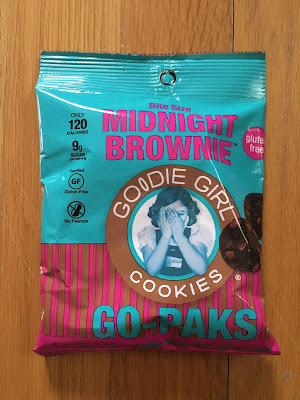 They were good, just not my favorite. 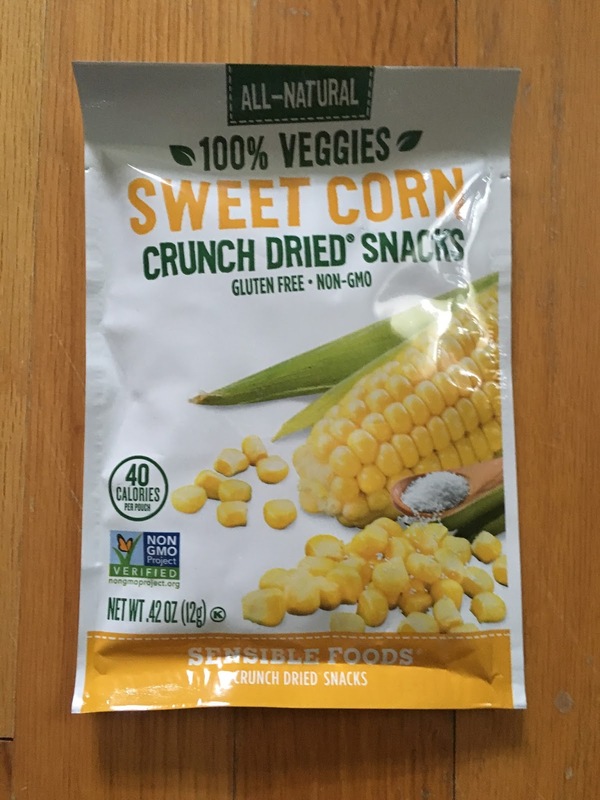 The last snack we received was Sweet Corn Crunch Dried Snacks by Sensible Foods. 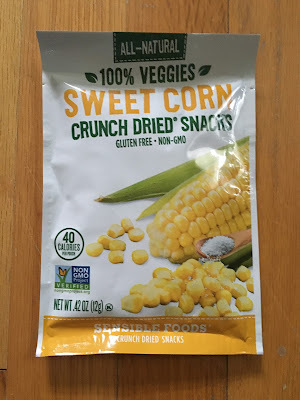 These were yummy and the only ingredients were corn and salt. I love that. They were crispy and so delicious! 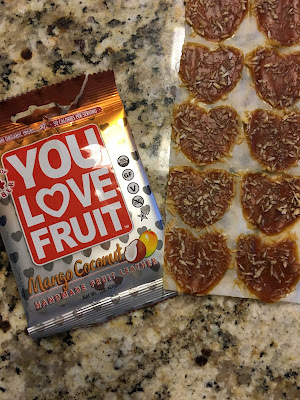 I love these for a snack. I'm addicted to Snapea Crisps and these reminded me of those. 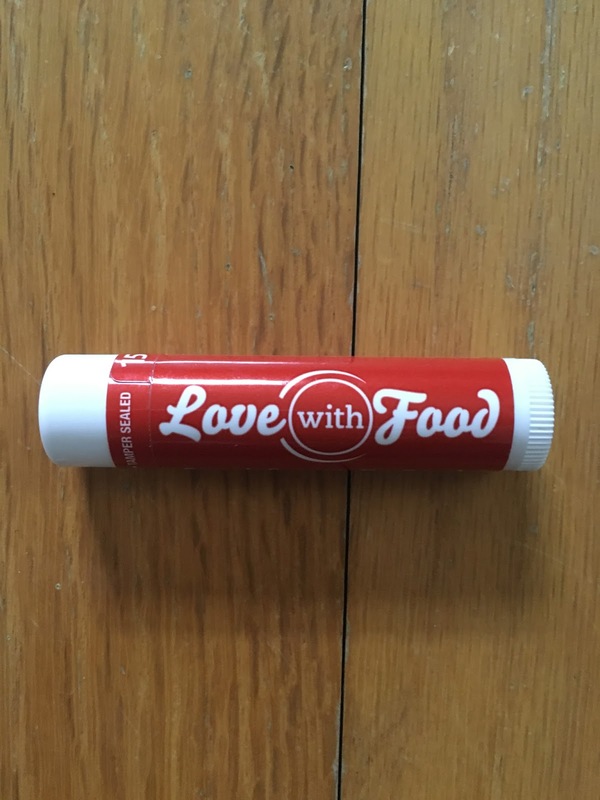 And we received a free gift, Love with Food Chapstick! I go through so much chapstick this time of year, so I was happy to have this. 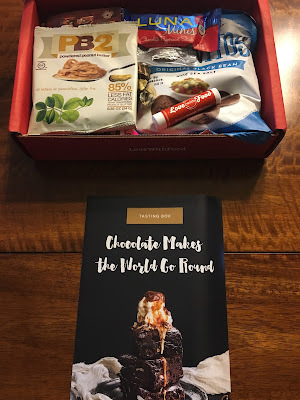 I was very happy with the chocolate inspired December Love with Food. I hope they continue to pack this much goodness into their small boxes. I can't wait to see what we get to try in January! 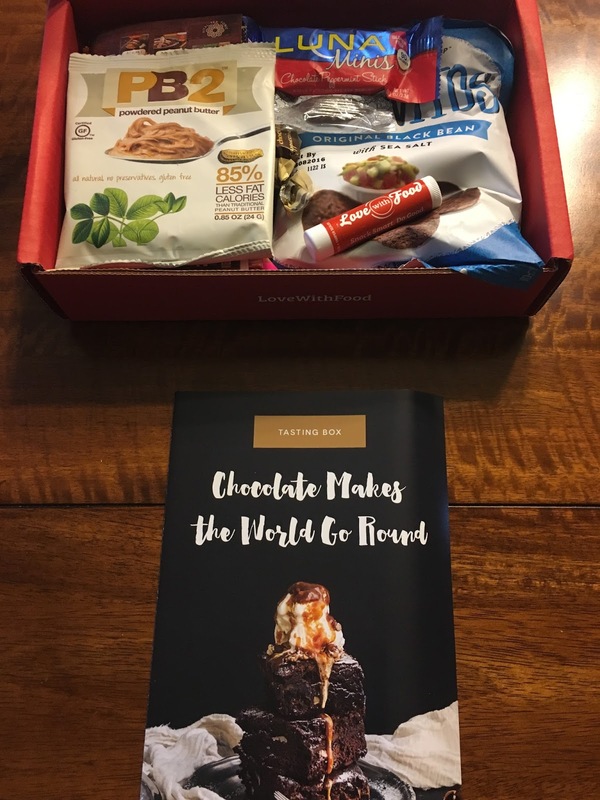 If you'd like to subscribe, use my referral link to save 40% off your first box!